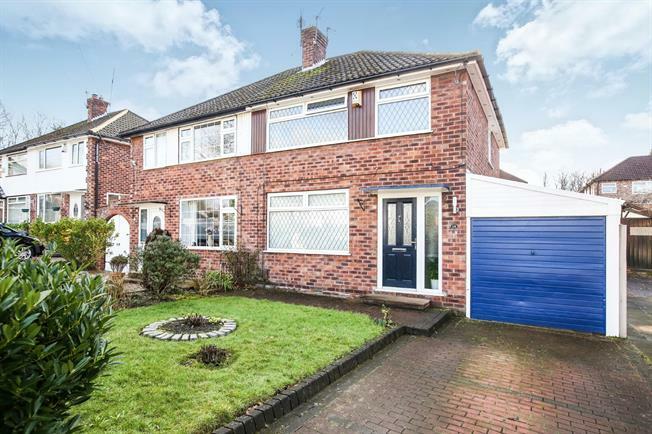 3 Bedroom Semi Detached House For Sale in Cheadle for Offers Over £250,000. Tastefully decorated and immaculately presented three bedroom semi detached home. The property comprises of large bright hallway, large lounge and dining room tastefully decorated with modern fitted fireplace, bright open heated conservatory and modern fitted kitchen. To the first floor you are greeted with a bright open landing, three good sized bedrooms and modern family bathroom. Externally front and back south facing garden fitted with new fences, garage and driveway - this home ticks all the boxes.